There are a ton of Primerica life insurance reviews out there. Some will tell you that it is the worst company ever, some will tell you it is amazing. The truth lies somewhere in between these two extreme views. The product known as Prime America life insurance is not terrible, but it is not a scam either. Primerica considers itself to be the “Main Street Company” for Main Street North America. The company is headquartered in Duluth, Georgia. Often mistakenly called Prime America, this insurer has a key mission of assisting families to earn more income, as well as to become free of debt, protected in case of the unexpected, and to ultimately become financially independent. With its focus on the middle market, Primerica helps everyday consumers to save and invest so that they can become knowledgeable about finances, and so that they can essentially transform their lives. 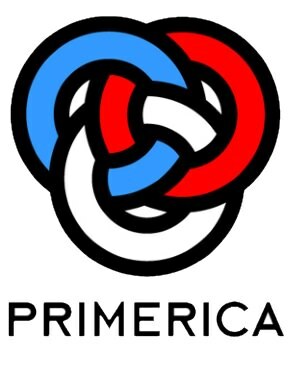 At Primerica, the company’s stated mission is to “Help families become properly protected, debt free and financially independent.” The company has in excess of $675 billion in life insurance in force, and in 2012, it paid out approximately $1 billion in life insurance claims – 92% of which were paid within 14 days. Primerica is also rated very highly rated in terms of its ability to pay out its claims to its insurance policy holders. The company has been given the rating of A+, Superior, by A.M. Best – which is a rating that is earned by only about 15% of life insurance companies in the industry as a whole. This means that Primerica’s policyholders can count on the company for its overall financial strength and its claims-paying ability. The firm is also highly rated in their BBB report (Better Business Bureau). It has been an accredited business of the BBB since January 1, 1980, and it has been given a rating of A+ (on a scale of A+ to F). By working with a representative from Primerica, the company’s clients can learn a great deal about how to save money and about how to make their money grow. Primerica’s website is filled with educational information about the power of compounding, as well as other “rules” about money growth such as the Rule of 72. The company also helps its clients protect assets in the case of unexpected events by providing education on important concepts such protecting yourself with insurance, as well as how to pay off debts that are holding you back from achieving your financial dreams. For instance, by following the concept of debt stacking, consumers are able to pay off one debt first, and then move towards the next one, and then the one after that until all of their debts have been paid off. Once all of the debts have been erased, the consumer can then use the funds that were going towards the debt payoff and put them towards saving and investing for the future. Do not get me wrong here, Primerica is a decent and upstanding company and their sales people are usually very honest. That doesn’t mean they aren’t expensive, and that is the reason I cannot recommend them. There are four reasons why “Prime America” falls short as a good option for me. Limited Product Offerings – For most people this isn’t a big deal because term life insurance is what most people need in a life insurance policy. You only run into a problem when you need some other form of life insurance. So if you need a burial insurance plan or some form of permanent life insurance, a Primerica adviser is not going to be able to help you and probably will not recommend them no matter what. Full Service – The advisers are full service for both insurance and investments. This means you are paying extra for the full service attention they are giving you. This kind of ties into the first problem. If you are paying for full service then shouldn’t an agent be able to advise you on ALL the insurance options available. So basically you are paying for full service and only getting term life insurance, which is the least complicated and easiest to sell of all insurance categories. Complicated Commission Structure – Primerica employs a multi-level marketing strategy (similar to Amway or Pre-paid Legal). This means not only is the Primerica representative that you are dealing with getting compensated, but a couple of people above them who were responsible for getting them into the business. Regular insurance insurance companies do provide a commission to a selling agent but the structure is very streamlined and keeps your costs lower. Advisors not Agents – This is one of the big drawbacks. The company began in 1977. At the time it was initiated, Primerica was known for its “buy term and invest the difference” philosophy. This advised individuals and families to purchase less costly term life insurance and to then take what they saved – as versus purchasing permanent life insurance protection – and invest those dollars into other investments such as mutual funds for their family’s future. The company also has a strong philosophy for its clients to “pay yourself first.” This means that one should put saving for the future ahead of nearly everything else. Throughout the years, Primerica has grown and changed – and in 2010, the company started to trade on the New York Stock Exchange. Today, Primerica is the largest independent financial services marketing organization in North America. The firm has a key goal of dominating the financial services niche of “Main Street” North America. Those who work as advisers for Primerica have come from all different walks of life – including teachers, coaches, and even firefighters. But all have the goal of teaching their clients how to save and invest for the future. Primerica has also made a big impact on the communities that it services – specifically those that surround its headquarters office in Georgia. The company provides a large amount of corporate donations, as well as grant funding and employee volunteerism in order to make a difference. In order to help consumers to better understand their personal financial situation, Primerica representatives offer the Financial Needs Analysis (FNA). There are numerous individuals and families who can benefit from this, including those who have debt to pay off, those who have children, those who wish to retire in the future, and anyone who simply does not yet have a strategy for achieving financial independence. When put together, an individual, a couple, or a family will be able to have a clear, step by step plan for achieving the financial freedom that they envision. Life Insurance – In sticking true to its heritage, Primerica offers term life insurance protection. The company feels, and has always felt, that term life insurance provides the very best combination of coverage and cost, as it allows policyholders the ability to purchase investment products with the “difference.” This, in turn, allows them to build their financial independence. Long-Term Care Insurance – Given today’s longer life expectancies, the likelihood of needing long-term care has become greater for many people. In fact, it is anticipated that approximately 70 percent of those who are age 65 or over will need long-term care at some point in their lives. Yet, not everyone who needs this type of care is a senior. Roughly 40 percent of those who currently require long-term care are actually between the ages of 18 and 64. This care could be required due to an accident, an illness, or another type of disability. In any case, long-term care can be expensive. According to recent data from Genworth’s 2014 cost of care survey, just one year in a private room in a skilled nursing facility can cost, on average, nearly $87,000 per year. Many people just simply do not have that type of money to pay out of their savings or other assets. The long-term care coverage that is offered through Primerica can help to pay for these costs. Coverage is offered from Genworth’s Long-Term Care Insurance division. These policies can cover care that is received in a nursing home facility, as well as care that is received in an assisted care living facility, and care received in a recipient’s home. Auto and Home Insurance – Primerica offers an auto and homeowners insurance program that provides premium quotes from a number of different top rated carriers. This helps clients to save money while at the same time obtaining the important coverage that they need. Oftentimes, by using this system, Primerica clients are able to save hundreds of dollars per year over what they are currently paying for auto and home insurance coverage. With these savings, they have more funds to put towards investing for the future. Legal Insurance – Many people don’t think about needing a lawyer – until they need one. The cost of legal assistance can be expensive. While many people who are wealthy may have access to their attorneys, those who are in the middle class are often not privy to this type of protection. But with the Primerica Legal Protection Program, individuals can have access to legal help when they need it. This program provides assistance with a wide variety of issuessuch as wills, trial defense, powers of attorney, IRS audits, trial defense benefits, motor vehicle-related benefits, probate, living wills, and legal consultations. For only $25 per month, these programs are well worth the benefits that they provide. Debt Watchers – Because Primerica feels that being out of debt is a key step in being financially independent, it offers the Debt Watchers program in order to assist its clients in becoming debt free. This program helps individuals to plan their way to a better financial future by using the information in their credit report and then creating a “fast pay plan” for paying off their debt. The plan does so by helping individuals to better monitor their debt and allow them to move forward towards eliminating it. It also makes doing so easy to understand. Mutual Funds – Primerica provides mutual funds to its clients, too, so that they can invest for their financial future. With as little as $50 per month, clients can begin to invest in any number of quality funds, including the American Funds, Invesco, Putnam Investments, Fidelity Advisor Funds, MFS, and Oppenheimer Funds. Managed Accounts – A managed account is a type of investment program that offers an actively managed portfolio that includes investments that are specifically chosen by financial professionals. For this program, Primerica has partnered with Lockwood Advisors as the money manager. Annuities – For those who are saving for retirement – as well as for those who are already there – annuities can offer a great way to grow funds for the future, and to provide a retirement income that cannot be outlived. There are many different types of annuities, including fixed and variable. Business Retirement Plans – Primerica also offers many types of affordable benefits for small business owners. The company works with business owners in order to help them with making their companies successful. Just some of the financial offerings that are available for small businesses include 401(k) plans, IRA accounts, SEP IRAs, Profit Sharing Plans, Individual 401(k)s, Money Purchase Plans, Single K, Solo 401(k), SIMPLE IRA Plans, Payroll Deduction Plans, 403(b) plans, and 457(b) plans. In addition, Primerica representatives can also provide supplemental retirement plan options to those who work in the public sector, as well as in 501(c)(3) non-profit organizations. In order to obtain the best quotes on life insurance coverage offered through Primerica Life Insurance – or for any type of life insurance coverage – typically the most beneficial way to go about it is to work with either a company or an agency that has access to more than just one life insurance carrier. That way, you will be able to more directly – and in an unbiased manner – compare multiple insurance policies, benefits, and premium quotes, and from there, make a determination as to which one will be the best for you and your specific needs. When you are ready to begin shopping for insurance coverage, we can help. We work with many of the top life insurers in the industry today, and we can assist you in obtaining all of the pertinent information that you require for making an informed purchase decision. If you are ready to move forward, just use the form on this page. Should you find that you still have any questions regarding Primerica insurance – or even if you just have a question about life insurance in general – our experts will be happy to talk with you. We can be reached directly via phone, toll-free, by dialing 888-229-7522. We understand that the purchase of any type of insurance protection can be a big decision. You want to ensure that you are purchasing the right type and amount of coverage – as well as ensure that you are getting the very best premium price. The good news is that now you have a way to compare the amount that multiple insurers are charging for their coverage before you make the decision to buy. So, prior to moving forward, know that you now have an ally on your side. Contact us today – we’re here to help.